The blogging world seems to be in a frenzy over this new mascara! Every review I have seen has been super positive. After the iconic "they're real" disappointed me I am really interested to see how this new mascara will be in comparison. Fingers crossed it ends up being as good as everyone says it is. If not then I doubt i'll ever try another benefit mascara. Review to come when I purchase it. There is also so much hype around these two! I hear so many great things about both the blush and bronzer so I am really intrigued to give both a go. I want the duo because I think it would be such an easy thing to chuck in your bag (okay, maybe not chuck) when you are about to endure a long day and want something to spruce you up. Cinderella one of my top three favorite Disney movies (along with the Little Mermaid and Beauty & the Beast) and when I heard about the M.A.C Cinderella range I got so excited. The packaging of this range is super cute. I just really want to eyeshadow palette because it has some great basic 'everyday' shades but also has that purple shade which could look nice in the crease if i'm feeling a little daring. This is another product that gets lots of great reviews so I ought to try this asap! It's apparently long lasting which (if it is) will be great for those long days at uni. I think it's only like $13 or something so i'm almost obligated to give it a go. Back in 2012 the first time I ever went to Harrods I was greeted by the staff at Tom Ford and they offered to do my make-up for free. The one product that stuck in my mind was the Brow Sculptor. It's basically a brown wax and..well it just was great and applied so well. I liked the finish of it a lot but i've just never gotten around to purchasing it. Hopefully I can find somewhere near me who sells it! I want this puppy sooo badly. My dog passed away 2 years ago and we had him for 15 years. My family all loved him so much and until now we haven't been ready to get another dog. I did a lot of research on dog breeds and couldn't find any I loved. One night I was out and this lady was walking her dogs and I went up to her and asked her what breed the puppy was. Apparently it wasn't a puppy and was fully grown - but it keeps it's puppy face forever! Instantly I knew I wanted it. It's quite trouble to find breeders cause it's a rarer breed (Cavalier King Charles Spaniel x Poodle) so i'm hoping I find it soon. Just want a puppy so bad! So those are the things on my wishlist at the moment! What's currently on your wishlist that I should add to mine? OH and do you know of any great breeds of dogs? 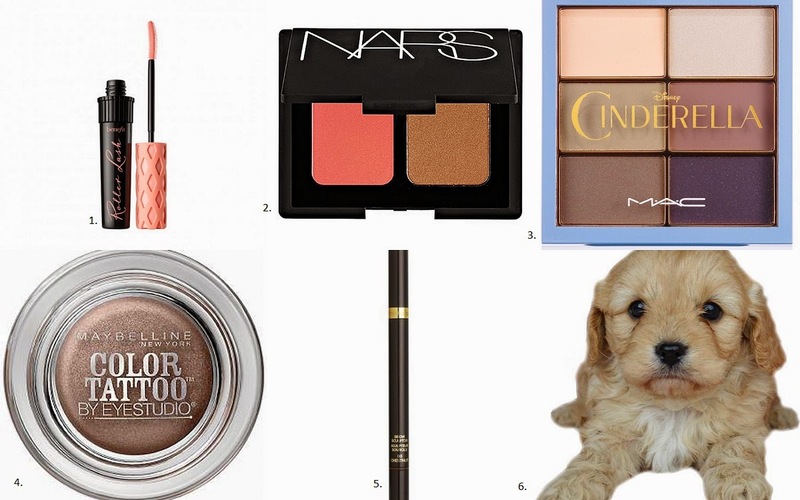 Guest post: Aleeha gives her top 5 most used makeup products! Helllllo everyone! About a week ago the lovely Aleeha messaged me about the prospect of doing guest posts. I was super excited because it's the first time i've done one of these. 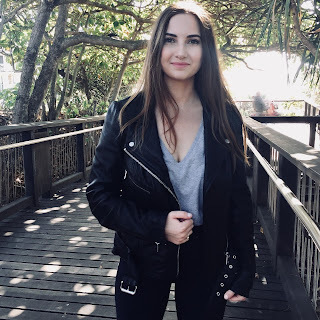 What I really love about the blogging world is that there are so many people with similar interests and it's so fun being part of a community where people are all so passionate. I find blogging is an excellent way of channeling my creative energy into something - and it also makes me feel as if i'm being productive when in reality i'm procrastinating on a uni assignment. Anyway it was super fun to get into contact with Hale and both write up our most used products. Sooooo enjoy! And make sure to check her blog out and read about my most used products on her blog. I tried to not put too much thought into what products to put in this post because I thought that if something was worth going in my top 5 then it would just be one of the first products that came to my mind. My most used makeup products constantly keep changing but these 5 are my current favourites which I use almost every day, so if you're looking for recommendations, just look down below! I could go on about this product forever - it's just amazing! 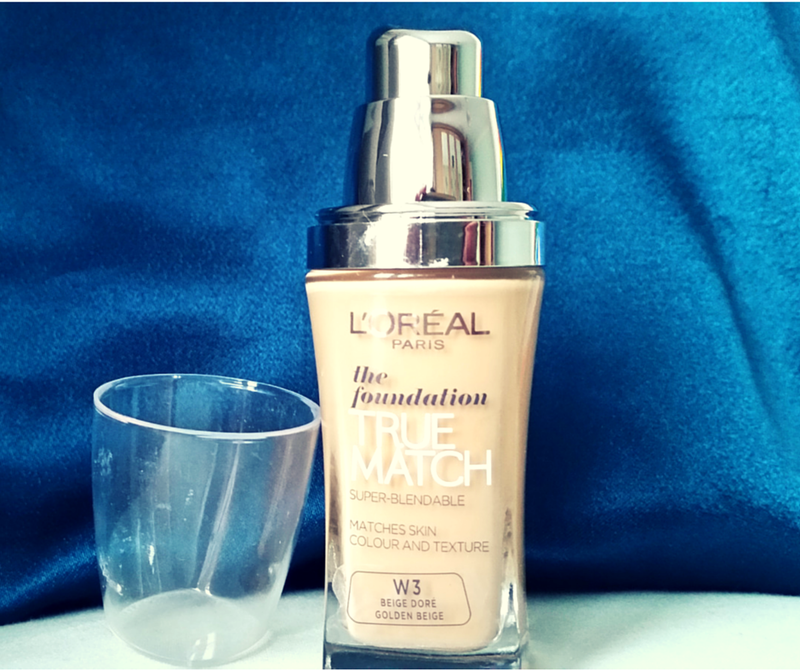 I've got to say, I'm not really into foundation and only wear it occasionally so I tend to look for a much lighter coverage, however this foundation blends so easily and has such a flawless finish. 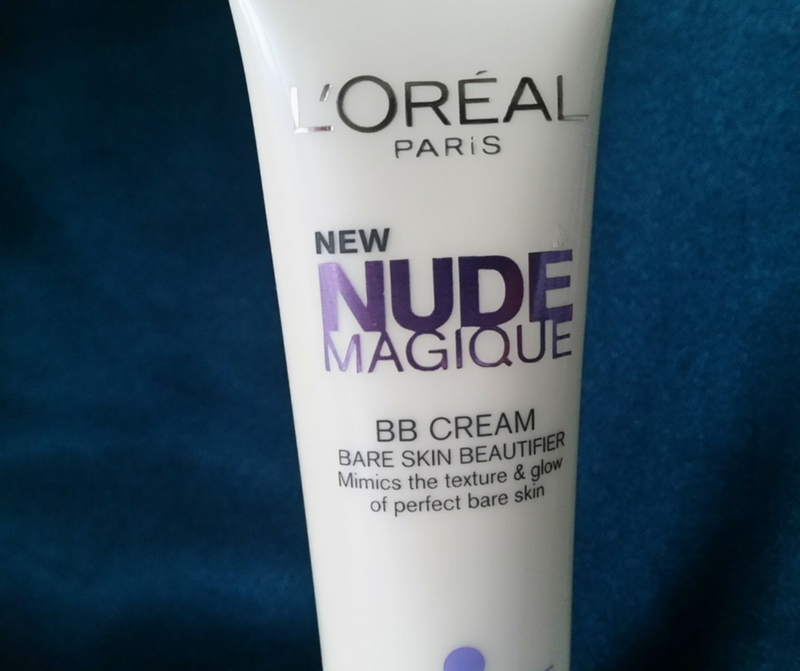 It has light/medium coverage, and it applies really well and is super blendable!! Since I go for light coverage I only apply a little bit, but you can build it up and it will still look great! I will say however that for some people this product makes their pores more visible so be aware of that. This is what I will wear if I'm having an okay skin day and don't feel the need of wearing a foundation. It is just as amazing and if anything I wear it more because of how light the coverage is and I feel like I'm wearing no makeup! I will say though that a lot of people I know who have tried this product have absolutely hated it. I guess it just depends on your skin type and how much you want your BB cream to do for you. I would test the shades out in store though because some of them are a bit orange! I use the fair shade even though I definitely don't use the fair shades for my skin tone normally, so make sure you test the shades out before purchase! You've probably heard of this - so many people already rave about it so I won't go on about it, but it seriously is worth a try. It's amazing for brightening up under your eyes and makes you look so much more awake. It's not the best for covering up blemishes but that's not what most people use this concealer for as it's more brightening than high coverage. If you are looking for a more high coverage concealer then I would recommend the lasting perfection concealer, which is a great alternative to this one. They are both drugstore products so no matter which one you choose they are both great value for money! 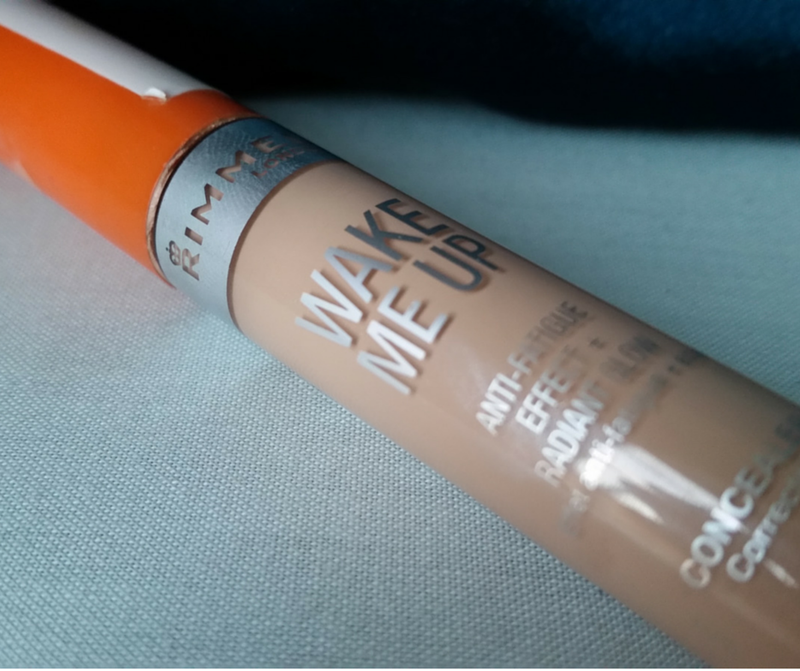 I wasn't that keen on the Rimmel wake me up concealer when I first got it and it definitely took me a while to get used to, but I have definitely grown to love it and would recommend it to everyone! 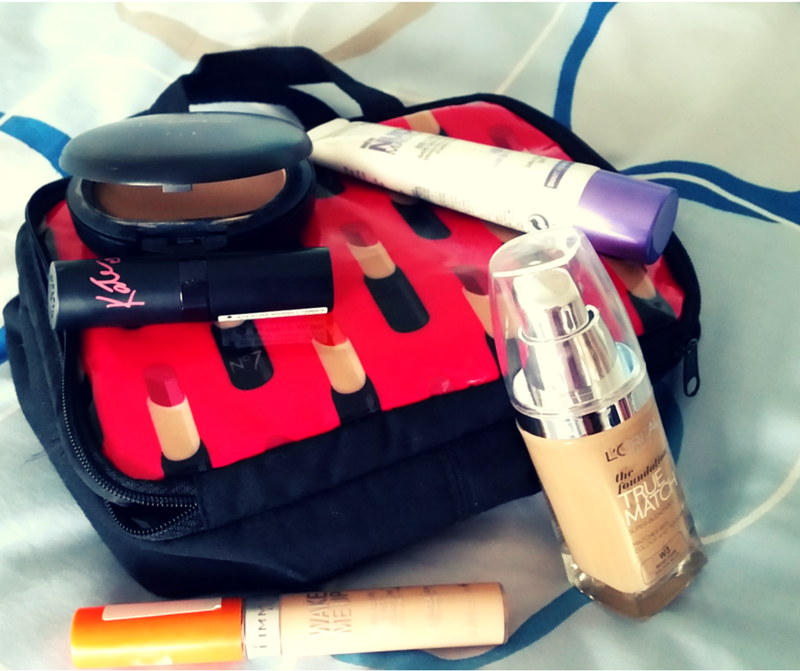 The reason I've included this is that it is one of those products that is always handy on the go! It's the perfect touch up when you're out with friends and it comes with a mirror which is useful as I'm constantly trying to fit everything in my bag, so not having to bring a separate mirror is one step closer to having a tidy bag! 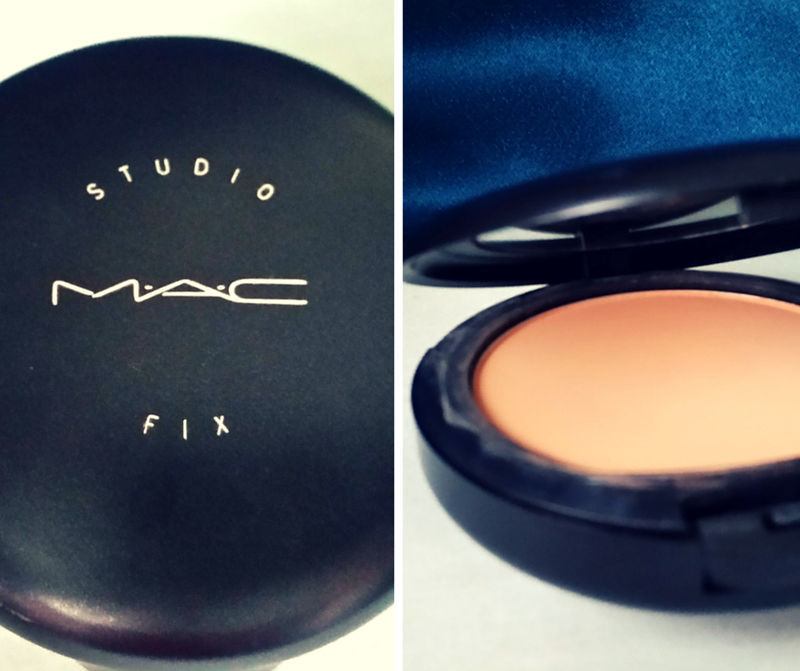 It does look really good just on its own as it has both powder and foundation, which is another reason why I love it for on the go! It gets rid of all the shininess on your face, and just adds a little bit of coverage which is perfect for days when you don't want to wear a load of makeup! I'm not a massive lipstick fan but everyone has been raving about the Kate Moss lipsticks for ages and I just haven't been bothered. It was only recently that I purchased this product and I immediately fell in love with it. I was looking for a really nice lip shade for spring and this has just ticked all the boxes. As I'm not very brave with lipsticks I only apply a little bit and blend it out with a finger to make it look more subtle but believe me when I tell you it looks great even if you don't decide to make it more subtle! Even I've been tempted to just wear it like that which is saying something! The packaging is so cute too... good packaging is always a bonus! Thanks for reading my top 5 most used products and hopefully you'll fall in love with these products if you try them too! What is your most used makeup product? Am I missing out?! Why I can't wait for Winter! It is supposedly Autumn at the moment and you think it would have started to cool down - but no! It is still reaching 30 degree days. All this has made me sentimental of winter and I got excited about all the things i'll be able to do in Winter..so I thought i'd share with you on what my favorite things about winter are. I think I have a pretty decent collection of boots. I've got another pair of knee high flat boots which I forgot to photo, but they are great as well. I just love the ease of boots. They are easy to put with a pair of jeans, tights or even a dress. All my boots are comfortable enough and I..well I just love them. 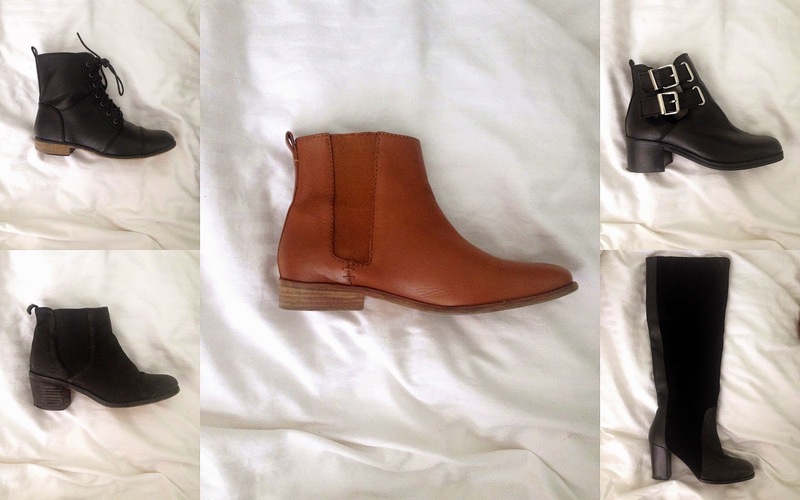 When winter hits i'll always reach for boots because I know they look great with everything. Side note - the bottom right ones make me feel like Ariana Grande when I wear them with dresses haha. In summer I feel ridiculous whenever I go for a really bold dark shade because it never goes with the summery look i've got going on. In winter though..you can go as dark as you like! I'm aware the shade in the photo (Rimmel 107) isn't exactly the darkest/boldest colour but i've never been able to wear this bad boy in summer because it's looked too dark Particularly because I have dark eyebrows any darker shade is amplified in contract with my eyebrows - I don't know why. Anywhoooo I just like being able to pop on a dark shade and own it without feeling like i'm breaking some girl code of not being able to wear a dark lipstick in summer. When I first saw this in Primark I nearly broke down crying at how cute this was. IT'S A HOT WATER BOTTLE..IN A TEDDY. A TEDDY THAT IS A HOT WATER BOTTLE. My mind was blown! I had never seen one of these before and I just thought it was so cute. Honestly I can't wait for the night where it gets cold enough to warrant a hot water bottle. It seems like those days are years back..it's been so long my friend. I just love it's smile as well because it says "i've got you covered". Like if I ever have cramps I can look at it and it says "I've got you covered" haha. Yeah..I really like it. 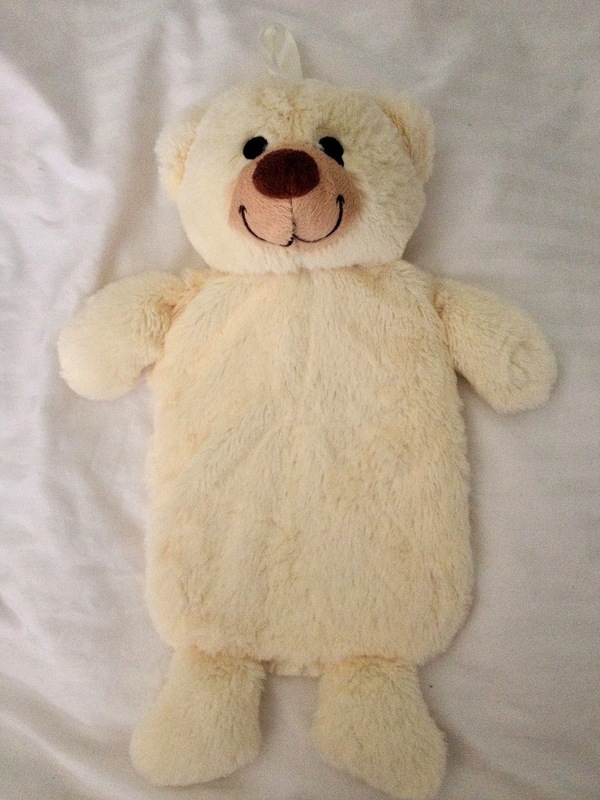 If you live in the UK you are blessed because i've never seen hot water bottle teddys in Australia. Another pickup from Primark. I got these in Edinburgh and when I bought them my mum said "..but you shouldn't wear them yet because when you're back home and it hits winter it'll feel special putting them on for the first time". I loved the idea of that so months have passed and I still haven't worn these. And I just can't wait to put on these bad boys when it gets cold enough. I think when winter comes i'll just be living in these. Honestly I think i'll love these so much that i'll call up a lawyer and ask them to write up my will and have it say "In case of death, bury her in the velvet plush leggings. It's what she would of wanted". Sorry i'm super grim and dramatic haha, but honestly i'm a massive fan of comfort clothing and I think these leggings will become my favorite thing ever. They aren't like regular leggings..they're lined with a thick cozy fleecy layer probably designed for optimal comfort. Can't wait to wear these. Okay I could not NOT include hot chocolate in this post. Every winter I drink my body weight in hot chocolate. Something about it is so soothing and it's so perfect for those freezing winter mornings where you're trying to pump out an assignment and you need something to perk you up. I haven't met anyone who doesn't like hot chocolate. If I do..I..I just wouldn't be able to ever get to the next level of friendship because it would be a massive barrier. Are people who don't drink hot chocolate choosing to not be happy? Anyway those are the things i'm super pumped for when Winter finally arrives! Where I live winter doesn't last too long because it's a warmer climate..so I really enjoy those winter months. I got a bit too excited writing this post. I mean come on you think three types of concealer would cover them but nooooo. 4. Trying to perfect cat flicks in a limited time. And yes the chances of them ending up even are slim to none. Praying furiously it wont go everywhere. 6. The age old debate of "girls shouldn't wear make-up for guys"
No no no no no NO, we do not wear make-up for guys. It is fun to apply and makes us feel confident. 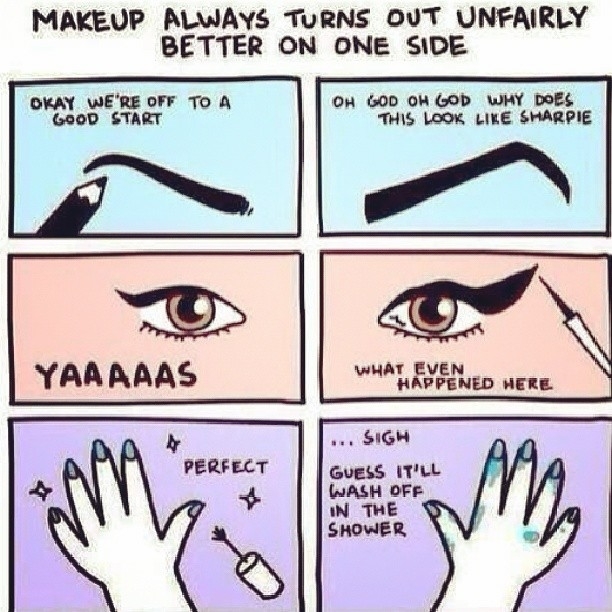 Yes, i'm looking at you "they're real" mascara. The lipstick section is basically a war field to get into. I need a chai latte to recover from the stress of not being able to find a lipstick because of people in the way (yes..i'm aware of how 'basic' that sounds haha). Smoky eyes become panda eyes. My bold lipstick looks like a botched job of lip fillers. Why didn't I check the forcast so I could wear waterproof mascara?! NYX Soft Matte Lip Cream Review, a new love of mine. A year ago I would have never heard of the brand NYX. It was the brand that was right at the back of the make-up section in Target, and to be honest: I wasn’t as obsessed with make-up then so I wouldn’t have appreciated it. I started seeing NYX mentioned quite a lot so I began to want to try out a product. 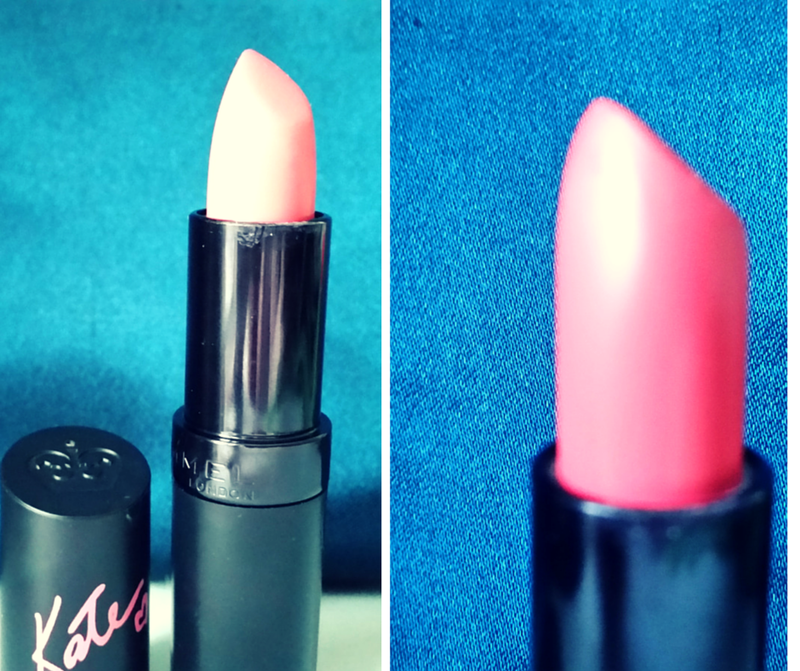 The soft matte lip creams were mentioned in a blog and the blogger made comments about the staying power (in a rather crude way which I know my mum would give me a slap on the wrist if I repeated it). But alas, it was comments that made my ears perk up because I have never had a lip product that has had amazing staying power. Today my sister and I went shopping and we both picked up a soft matte lip cream in the colour “Istanbul”. On our recent trip to Tasmania my sister and I fell in love with this colour but sadly it was out of stock. First day back home and we just had to hit up Target and purchase it. We got the lucky last two. If there was only one I would of been prepared to fight my sister for it - sorry Chloe! First thing I love about this product - the colour is gorgeous. I’m not one for bright colours (despite trying my hardest to pull them off) so this shade is just perfect for me because it still has a lovely pink colour but isn’t super bold. It’s the type of colour I can easily pass off as ‘every day’. Secondly I love the formula. It goes on really creamy and within 10 minutes it has gone completely matte. Once it has gone matte I forget I’m even wearing something on my lips. Thirdly I really like the smell – it’s kind of like candy/berry scent. I know the smell shouldn’t be make-or-break in buying a product..but hey..it’s a plus. As for staying power I felt it has lasted a good 2-3 hours without fading. After I ate I noticed that it had faded a little but nothing too drastic. When I wear this out I will probably just quickly re-apply it after eating. 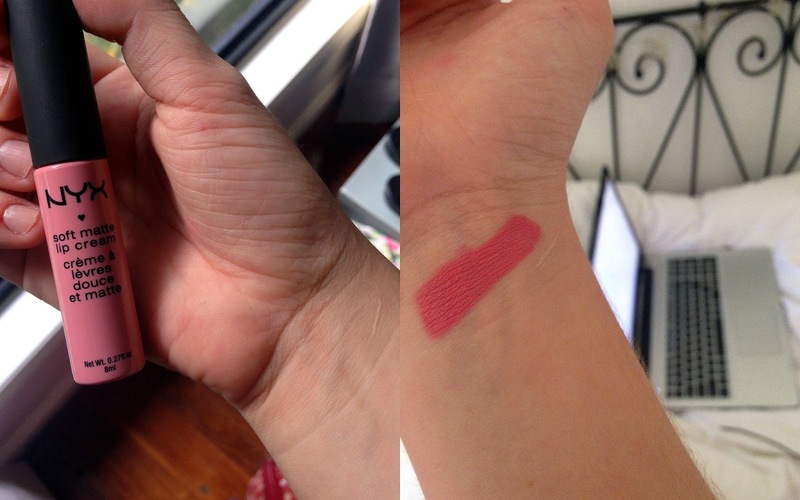 After doing my swatch photo above I washed my hand and the lip cream left a pink stain which is great sign that it will hold up. Overall I am very impressed by NYX’s soft matte lip cream and would definitely re-purchase as I can already tell it will become a staple in my make-up bag. Only criticism with this product is that it doesn't have a plastic covering around the outside ensuring it can't be opened/tested pre-purchase..but this is a minor criticism. They are only $12.95 each which won’t break the bank. Super happy I’ve found a long lasting lip colour. 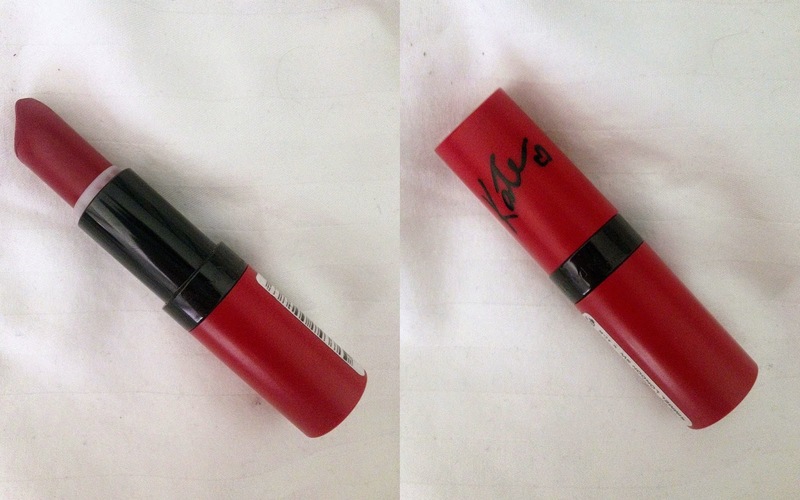 Would love to know what are your favourite long lasting lip products? My make-up bag deserves a few more! p.s Sorry about the state of my nails in the above picture, uni is around the corning making me resort back to my stress habits.